Trend Micro Internet Security is an advanced security suite that provides strong protection against viruses, spyware, spam, and other malware. It's designed to block dangerous websites, guard against identity theft and safeguard you and your family on social networks like Facebook, Google+, Twitter, and LinkedIn. Furthermore, Trend Micro Internet Security features the latest in anti-ransomware technology and Parental controls to help you restrict or filter online access for your kids. 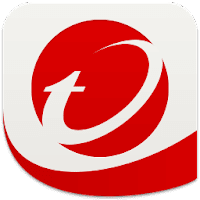 Disclaimer: Direct downloads for the lastest version of Trend Micro Internet Security 2018 12.0.1153 are provided by the official software's author, we can't guarantee safety, availability or download speed. Moreover, we don't and we won't provide any pirated/illegal versions or tools. We recommend you to avoid it as these methods can harm your device. If you like the software, buy it to support the developers. (We provide software discounts for many worldwide brands).